To purchase Medicare Supplement plans in Texas, you need to qualify for Part A and Part B of Medicare. Most of you will plan to enroll in both parts of Original Medicare around your 65th birthday, so this is an ideal time to consider enhancing your hard-earned benefits with a Medicare Supplement plan in Texas. Some companies will even allow you to apply for your Medicare Supplement plan a few months early, so you can be certain you have adequate health coverage in place by the time you turn 65. Enrollment in Medicare Supplement insurance varies a lot by state and even by county. Very often, it depends upon available plans, medical providers, and average incomes of local beneficiaries. 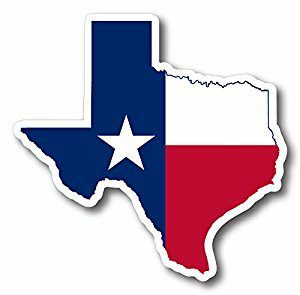 In a famously large state like Texas, you will certainly see differences in urban areas, smaller cities, and rural areas. Overall, about 27 percent of Texans with Original Medicare have chosen a Medicare Supplement plan in Texas. About 38 percent choose MA plans instead of Medigap plans. Most of the rest have other public or private medical insurance through employers, unions, or the government. Virtually all Texans find some way to enhance Original Medicare benefits. First, you should know that Medicare Supplement plans do not have an Annual Election Period like Medicare Advantage. You can apply for a Medicare Supplement plan as long as you have Original Medicare. With that said, the Texas Department of Insurance outlines times when you have a Guaranteed-Issue right to get accepted for Medicare Supplement insurance without having to answer medical questions or go through any medical underwriting. As a note, these follow national rules pretty closely, though some other states have somewhat more liberal rules. Seniors turning 65: You have a 6-month window for all available Medicare Supplement plans in Texas that begins when you first enroll in Medicare Part B.
Disabled people first receiving Part B: You also have a 6-month window, but it’s only for Medigap Plan A.
Disabled people losing coverage: You also get another guaranteed right to purchase, but it’s still only for Plan A. How Are Rates for Medicare Supplement Plans in Texas Calculated? Once you have already enrolled in Medicare Supplement plan in Texas, your company cannot cancel your policy unless you fail to pay premiums or purposefully answered application questions falsely. This means that everybody in your local area gets the same premium, regardless of age or other factors. Your premium is always based on the age you were when you purchased your Supplement, but the insurer could increase prices for inflation and some other things. This means that the insurer can keep raising your Medicare Supplement rates as you get older, but you’ll enjoy lower rates when you buy it at a younger age. There isn’t a one-size-fits-everybody alternative we can suggest; however, we can tell you which plans we most commonly suggest and are the most popular overall. Plan F: In past years, this has been the most popular choice because it covers all of the deductibles, copays, and coinsurance payment that Medicare allows a Supplement to pay for. Plan G: This Supplement won’t pay the Part B deductible. Often, the difference in premium between F and G makes up for this deductible amount. Plan N: It doesn’t cover the Part B deductible. It also doesn’t cover “excess charges,” or those bills that are higher than Original Medicare allows. The benefits should still protect you from the highest out-of-pocket expenses, so it might offer a more budget-friendly choice. One of the advantages of Medicare Supplement insurance is it is portability. You don’t have to concern yourself with plan networks. Typically, most Medigap plans will be accepted by any healthcare provider who accepts Original Medicare across the United States. One exception to this is Medicare Select plans. These may have some network restrictions that policyholders need to follow in exchange for lower premiums. How to Apply for a Medicare Supplement Plan in Texas? As you learned above, your own choice of Medicare Supplement plan coverage and premiums may depend upon your location, age, and other circumstances. We can offer you a handy way to compare your options online. All you have to do to begin is to select “Texas” from the drop-down quote menu, you are also welcome to use the toll-free number to call with any questions. We want to give you the information that you need to find the best Medicare Supplement plans in Texas. Texas also has the DADS program that offers additional help with medical services, prescriptions, caregiver support, and so on. You can learn more about applying for Extra Help in Texas on the Texas Department of Health website.